Everyone who does roadway rehabilitation work for a living recognizes immediately there’s more to the story than can be covered in a quick demo of the basics of the new Civil 3D 2018.1 Rehab Tools. We walked through the essential dynamic Rehab Assembly functional details in a Civil 3D Survey context in the Rehab Corridors from Civil 3D Survey post and video. Some minor clarifications were added to that post. Can you clarify the specifics of Rehab create and edit? Can we build easily build, maintain, and report on phased lane rehabs on sides of the roadway? For most folks Rehab projects will be performed on Highways, Arterials, and larger Collectors. You attack the multiple lane challenges with multiple Baselines in a single Rehab Corridor with more than one arrangement of dynamic Rehab Assemblies and Regions. You can also employ multiple Rehab Corridors. 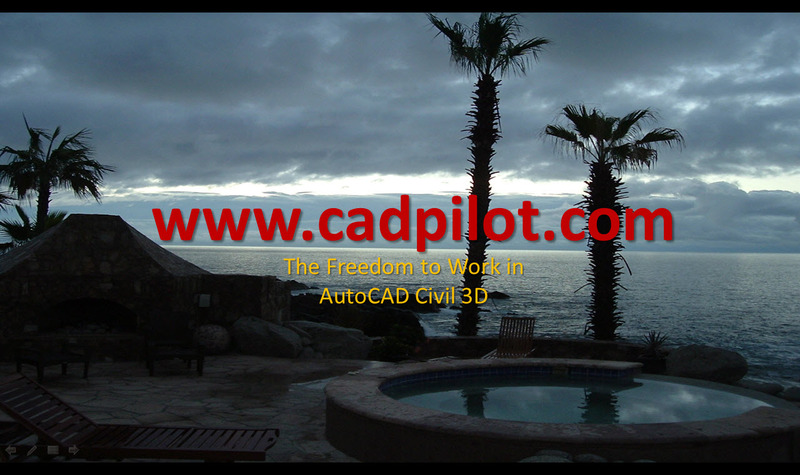 We start with the basics of where we left off last time in the Rehab Corridors from Civil 3D Survey post and video. I tried to keep the covered issues focused on the existing conditions setup QAQC; the dynamic Rehab Assembly care, feeding, and maintenance; and the somewhat confusing Rehab Assembly targeting nuances in this video. The solid foundation of the Frameworrk for Civil 3D Template and Styles tools make all of this easier to understand. They perform in production. Amazing! There are a lot of Rehab Corridor details to cover. The remainder of this first Rehab Details post covers the Rehab Tools Create and Add Details. Many cover things not in the video. A follow up post explores the Rehab Details for Edits. For registered Members, I’ll put together a single Rehab Corridors doc with a table of contents. Imagine that. Let me repeat from the previous post the key decision details for the Rehab Parameters box. Crown-based subassembly because you have lanes on both sides of the Rehab Corridor Baseline in the Region. Planar- based subassembly when there a 0 lanes on one side. The Create a Rehab Corridor command immediately builds a default dynamic Assembly with your current Assembly name template BEFORE you pick Apply in the Rehab Parameters box. The dynamic Rehab Assembly has no subassembly assigned and therefore no properties. Failure to allow Viewport configuration in the Section Editor will cause a failure in the initial creation of a Rehab Corridor. We could consider this an introduction bug. Only a Section View viewport is probably necessary. Wait for Civil 3D to catch up after you pick Apply in the Rehab Parameters box. In the new Rehab Section Editor you can preview the existing surface condition in the Section View. This is pretty counterintuitive. You just have to zoom and pan around to find the sampled surface. It helps to know the elevation at the start station. Sadly, when you initially create a Rehab Corridor Civil 3D does not assign a Null Assembly to the Baseline Region so you could immediately walk-through and review the target surface and other available Civil 3D Features in the sections without a applied Rehab Assembly in the Rehab Section Editor. Currently, Civil 3D 2018.1 seems to assume that any empty Assembly is a dynamic Rehab Assembly. This is somewhat understandable but still frustrating. Section sampling widths in the Rehab Section Editor are currently driven by a direct relationship to the dynamic Assembly. The Section viewport automatically zooms to Rehab Assembly and ignore any Section width Command Setting defaults. You can and probably should. You are going to want one to review the surface(s) and available Alignment(s) and other potential Civil 3D Target Features before you create a useful Rehab Corridor. Currently, you must take care not to duplicate the Rehab Corridor Baseline Region(s) in a preview Corridor when you employ the same Alignment. If you do, Civil 3D seems to become confused and believe you are using the Rehab Section Editor for the duplicated Region. Without an applied Rehab Assembly nothing shows. For a preview QAQC corridor definition It seems to work best to employ no Regions with Assembly assignments at all. Remember you can control the display of Civil 3D Features with the Section Editor’s Display settings controls. Obviously, if Civil 3D doesn’t recognize a new Rehab subassembly in the Corridor you cannot get to the Add Rebab Region tool that only currently works from inside the Rehab Section Editor. Fear not. You can rename the dynamic Rehab Assembly and Civil 3D will not lose track. Whew. Of course, you will want to carefully consider what you name these new dynamic Assembly beasties. Rehab Parameter box changes modify the dynamic Rehab Assembly parameter definition for all Assemblies assigned in any Regions in a Rehab Corridor with the same name. The Spilt Region and Merge Region tools in the Corridor Ribbon work to spilt and merge Regions for target changes. Spilt Region does not automatically add a new Frequency section(s) when you split regions. You can employ a Feature Lines Only Code Set Style assigned to the Corridor in Plan to check for these. There will be spaces in the Corridor Feature lines. An Applied change of Lane counts always redefines the subassembly contents in the dynamic Rehab Assembly. This can and will delete and/or confuse Lane Targets if they previously existed in the Assembly properties. Best to have a Lane plan and a Mill, Level, and Overlay plan decided before you hit Apply. The default Lane count of 1+ on each side gets you a single Crown-based subassembly in a Centered Group. a Lane count of 1 one that side and a lane count of 0 on the other. Changing the Lane counts after the initial use of Apply can potentially result in an incorrectly constructed Assembly from your perspective. Failure to wait for Apply operations to complete seems to most often cause what you do not expect. Multiple Lane are choices are added or removed in Lane Properties of the Rehab Parameters box when the Lane counts are increased or decreased. The addition of new Lane property collections is easy to overlook. Are you editing the correct Lane parameters? Each separate Lane has its own Lane parameters. These are applied to the separate Rehab Lane subassembly within the dynamic Rehab Assembly. Hitting Apply with a Lane count of both Lanes to 0 will create an Assembly with no included Rehab subassemblies that is no-longer recognized as a Rehab Assembly by the tools. The use of the new rehab subassemblies in an Assembly matters. If you create a classic Corridor Baseline and Region that includes a previously created dynamic Rehab Assembly, Civil 3D identifies the new corridor as a Rehab Corridor. The Rehab Parameters tool recognizes differently named dynamic Assemblies in separate Regions. For example: To create and maintain separate right and left Rahab Parameters in separate dynamic Assemblies in separate Baselines. Currently, a library may be the only way to get consistent standards beyond the basics in the Rehab Corridor command Settings. You can and probably should construct and external library drawing with the new rehab subassemblies in named Assemblies that are pre-built to your typical road and rehab design standards. You cannot create a Rehab Corridor Baseline from a Feature Line. If you manually create a Baseline from a Feature Line and place a Rehab Assembly in a Region, Civil 3D does not appear to recognize the Corridor as a Rehab Corridor. The Rehab Assembly is applied in the Corridor, but you have no access to the Rehab Parameters, Rehab Section Editor Tools, or the Rehab Manager Reports. Assembly property changes must be made to the Assembly itself. Whether all the properties are evaluated is somewhat questionable. The new Rehab subassemblies are built to be Crown down or Lane to Lane to Flowline based. In other words, they work with negative Ideal Slope parameters. They will function with positive Ideal Slope parameters (Edge to Crown) but do not appear to evaluate the results with other Rehab Parameters with that positive condition assigned and the Rehab Lane subassembly(s) flipped. Probably a Match Slope Lane parameters choice is the safest bet in this scenario. The point codes locations assigned, of course, remain as defined in the subassemblies. Alignment conditions with assigned Superelevation parameters evaluate based on the calculated Superelevation parameters as Ideal Slope Rehab Parameters.